Home New Releases RAUSCH: “BOOK II” – a sonic buffet! 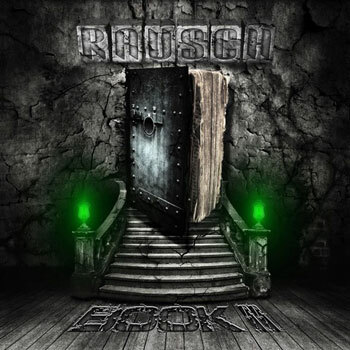 On February 2nd, RAUSCH will release its second full-length album “BOOK II”. 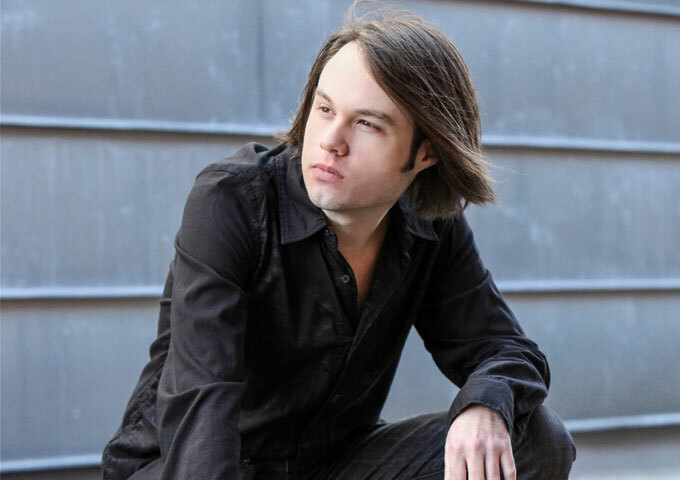 Musical contributors to the project, include drummer Mark Zonder (Warlord, Fates Warning), keyboardist Ryo Okumoto (Spock’s Beard), and progressive rock band Shadow Gallery’s guitarist, Brendt Allman. The first thing to say is that this whole album exudes professionalism. This is not a band that seemingly cuts corners or does anything half-baked. What you get each and every time, is a quality product where every small detail has been considered. If you have already discovered bands such as IQ, Pendragon, Spock’s Beard, Jadis, Pallas and Arena to name a few. You will know that these bands all have a common thread that easily allows the neo progressive title to be bestowed upon them. This common thread is luscious and progressive symphonic elements. It requires particularly rich and epic keyboards along with powerful guitars and rely also on a heavy lush stringed section. The neo progressive elements at times meet heavier almost metal elements on the occasion. It takes a very talented and exceptional band to be able to blend these elements just right. Fortunately RAUSCH has been able to manage just that. And their upcoming album, “BOOK II”, displays this at work. There is a sonic buffet of various styles at play here. Various styles not only include the obvious neo progressive staple but also go on to include hard rock, heavy metal and even AOR at certain points. The vocal work is just as much an instrument as it is a narrative piece within the compositions. Doug Rausch’s vocals really blend all the sum of the parts of these track beautifully. “Greener Grass” opens up with piano passages and some seriously emotional vocals along with an open atmosphere. The track takes on some very driven instrumental elements as it moves into overdrive allowing the isolated vocals to grow in fullness, and blend in with the soaring strings. “Swansong” opens up with the piano, guitar and vocal. This combination allows the listener to settle into the track. The opening is almost ballad like before the drums come in and turn it into more of a power rocker. This is definitely one of those songs I see their fan base singing back to them during live performances. Its very nature is unifying. The guitar solos are a complete treat on this one as well. And there are some really tight beautiful vocal harmonies. The dynamic chord progressions and tempo changes make this a killer song all-round. The musical canvas is large and RAUSCH fills it with color and imagination to entertaining effect. The over 10 minute “Drain” is a stunner, starting out with an acoustic piano motif before switching to an acoustic guitar dominated strum, and then morphing into a fully-fledged rock rhythm. All the while the vocals shine brightly in the spotlight. The whole album is wrapped up in a fantastic production that offers the clarity required from this type of music but doesn’t rob any of the power from the compositions. Each instrument is given the room it needs to shine, nothing is lost in the mix and yet there’s a lushness about the whole thing that filters through and enhances the entire listening experience. After listening to “The Drain” and “The End” I kept wondering why RAUSCH are still so relatively unknown, they certainly do not need to envy Steven Miller or Dream Theater, as the embody both in these tracks. “Speechless” is a hybrid Metallica meets Tool number that is as heavy as it is quaint in its arrangement dominated by overdriven guitars and a thundering rhythm section. “BOOK II” has proved to be something of an introduction for me to the group’s music. RAUSCH approaches their sound confidently, and churns out an impressive batch of songs here. Their all-round strength of performance taken into regard, the most apparent display of RAUSCH’s excellence are the vocals of Doug Rausch. With a nod to classic prog-rock and a fine and full-bodied sound, RAUSCH makes a very cogent argument that music which unfolds itself naturally is more fulfilling than music affixed to a certain structure.